???? Situation? Is it a situation? Who is Blanco ktchen? Are you selling kitchen sinks? In which case could you refrain from using my blog as a sales and marketing resource? Well did you ever play it?…or at least put a shirt on lol? I agree with all of your insights here, though I haven’t really listened to Shane McGowan & will have to now. I enjoyed the construct of this blog & was wondering if the Leonard Cohen lyrics had crept into your writing accidentally or if it was purposeful. 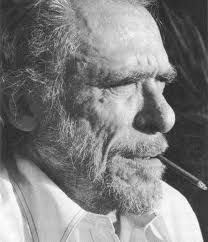 I find many of Bukowski’s views stale or depressing now, but much of his poetry still holds me as his imagery, personification, metaphors and writing is very powerful. I recently wrote a poem about him which I would enjoy your criticism on (‘Worth The Fire’, on my blog, if you are so inclined). 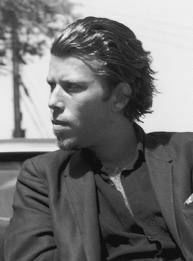 I also felt unsure before listening to the new Waits album, but I went in with all confidence in his art. The same thing I cannot say about Dylan (having read his views and direction in recent years), and literally felt acid on the skin when he listening to his christmas album. He has returned to form though & (even while his christmas album was being released) is still an amazing an original performer. P.S. The lyrics of the Cohen song are beautiful ~ ‘dance me to your beauty with a burning violin’. No, I didn’t get along with ‘Bad as me’, especially the title track, which I thought was loud, moronic, another sixty-something trying to sound cool and tough – even in self parody that kind of thing doesn’t work. There were three or four good songs on the latest Cohen album, I thought, the rest too derivative of himself. Haven’t listened to Tempest yet. Sure I will check out your blog and get back to you soon. BTW The Cohen lyrics plagiarism was intentional!